Friday, I reported how ProgressNow New Mexico’s Social Media Specialist Sarah Mowrey referred to a House Committee aide as a “b*tch” (read story below). Less than an hour after I published my blogpost she deleted her work Twitter account. Then I discovered her personal Twitter account, which she also deleted minutes after my mention of it. But not before I made a file of thousands of tweets (numerous of which are offensive) and had taken many screenshots. Apparently ProgressNow New Mexico’s executive director Pat Davis believes that calling offensive conduct a “joke” is the best way to get out of facing the music for one’s actions. Among the very nasty tweets from Mowrey, is one laughing at pedophilia. While comedy is fine, this is not comedy, and it’s making fun of those who disagree with pedophilia, which is criminal in the United States. Maybe Pat Davis, Sarah Mowrey’s boss can explain why his employee is making fun of slavery and President Abraham Lincoln?! This is a slap in the face to African Americans and those who fought to free them! Sarah Mowrey isn’t only active on Twitter; she also has a blog and Youtube account. Claiming it’s “just satire” Mowrey verbally abuses a gay Chinese man in a video on her Youtube account. Mowrey apparently concocted a technology disagreement with somebody and lays into a gay Chinese man– you’re “scum of the earth” a “horrible person” and finishes the video with an eery– “Jesus is gonna have his revenge. That’s what he’s gonna do.” Is she serious? Who knows– but it isn’t the kind of joke I would laugh at. As a matter of fact, her boss Pat Davis has demanded the resignations of numerous conservatives (even a state Representative) for less inflammatory comments that were obscure and out of context. Last I wrote about Mowrey in greater detail– that blogpost can be read here. 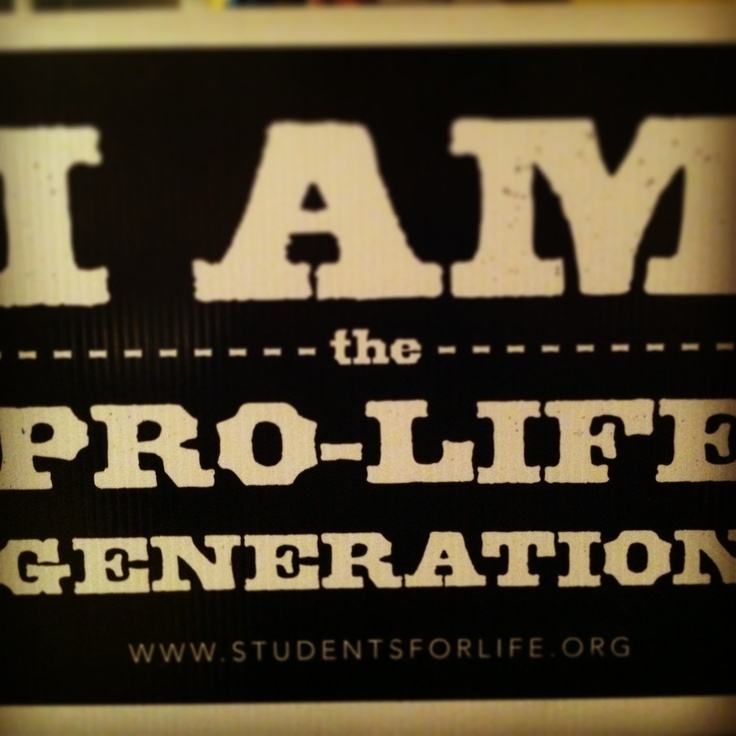 As to whether this is a big deal or not?! 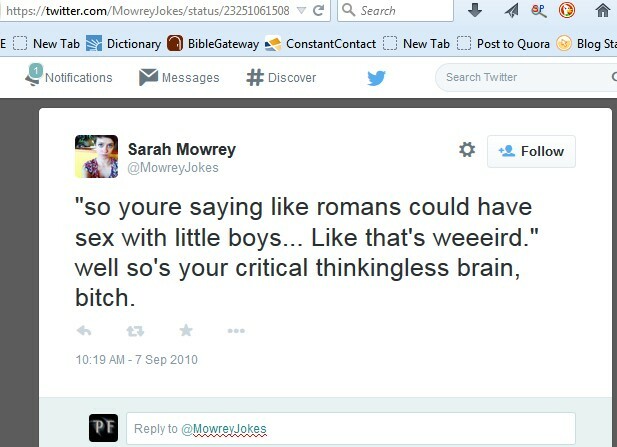 Even a pro-LGBT feminist and progressive liberal Twitter user thought Sarah Mowrey was rather insensitive and objected to Mowrey’s “jokes” which she believe regularly use “slurs” to make the punchline. Is ProgressNow New Mexico okay with employee praising pedophilia? What about mocking gays and Chinese?! Is that somehow cool now too, in their opinion?! I guess with a leader who drives drunk, a communication director who uses illegally obtained sources and a “Social media specialist” who “jokes” using crass, rude and offensive insults from her work Twitter account, ProgressNow New Mexico’s credibility and influence has reached an all-time low.